Experience the thrill of watching birds at close range - and all from the comfort of your armchair! 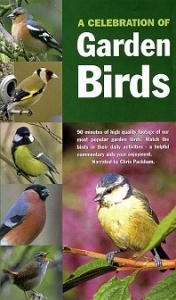 Covering your favourite garden birds, this DVD is a birdwatching delight. Simply sit back and enjoy top quality images, from birds feeding and bathing to looking after their young. This DVD offers and optional commentary feature and allows you to randomly select the birds you see to create a different viewing experience every time. Narrated by Chris Packham, writer, television presenter and Vice-President of the Wildlife Trusts.